Both sexes fully winged. Body brown with reddish purple internal pigment; legs including all tarsi brown; antennal segment III yellow, IV largely yellow, V yellow at base; major setae brown; fore wings pale, scarcely shaded at base. Head distinctly longer than wide, widest across eyes; maxillary stylets scarcely retracted to postocular setae, at least one third of head width apart medially; eyes distinctly prolonged ventrally; postocular setae bluntly pointed, shorter than eye length. 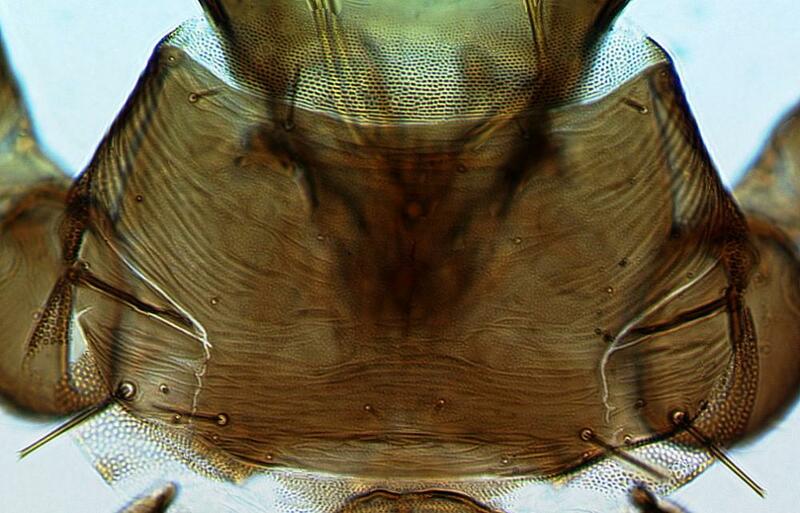 Antennae 8-segmented; segment III with one sensorium, IV with four sensoria, VIII broad at base. Pronotum with 4 pairs of weakly capitate major setae, midlaterals not developed, anteromarginals and anteroangulars variably reduced and sometimes pointed; prosternal basantra and ferna well developed, mesopresternum reduced to paired lateral triangles. Fore tarsus without a tooth. Metanotum closely striate medially. Forewing constricted medially, with about 10 duplicated cilia; sub-basal seta S3 pointed and slightly longer than capitate S1 and S2. Tergite IX setae S1 finely acute, longer than tube. 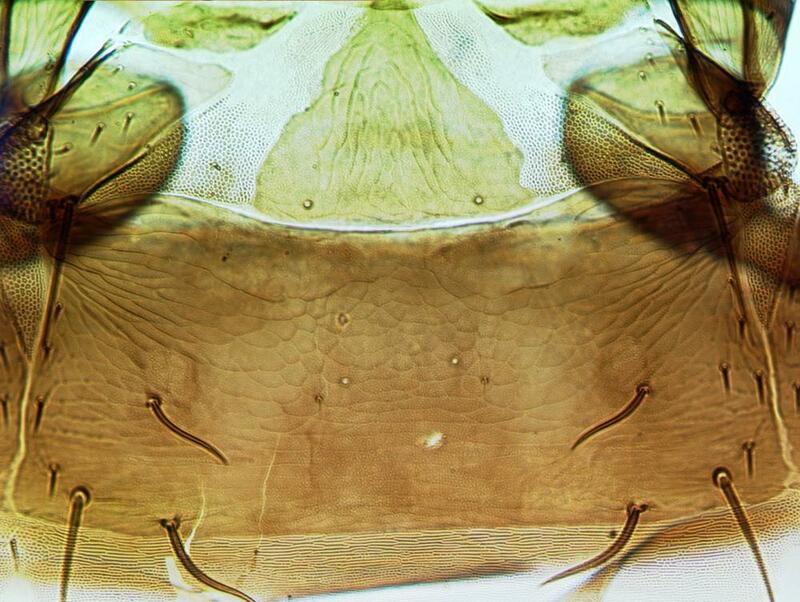 Male similar to female, fore tarsus without a tooth; tergite IX setae S2 short and stout; sternite VIII with no pore plate; pseudovirga of aedeagus slender. 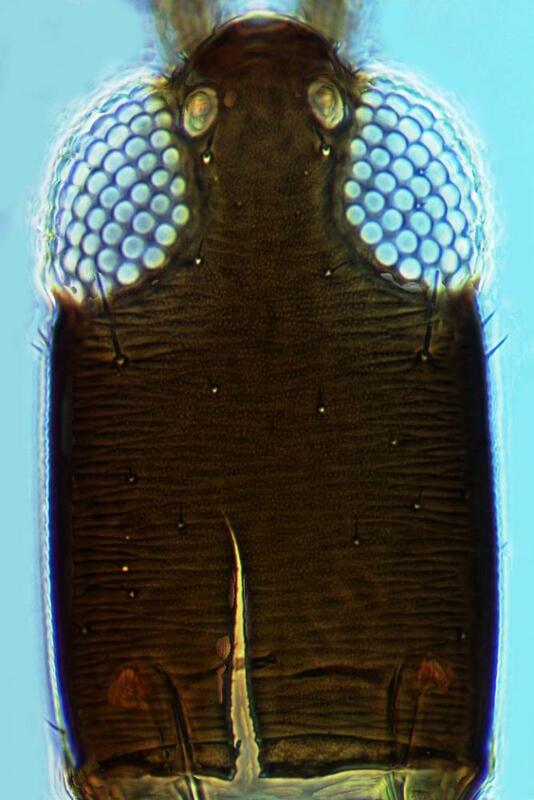 The genus Leptothrips is related to Haplothrips, but the metanotal sculpture is closely striate not reticulate, and larvae and adults usually have extensive purple internal pigment. In total, 38 species are listed under Leptothrips, all from the Americas. Johansen (1987), in describing 22 of these as new species, recorded 11 Leptothrips from California, although only seven were listed by Hoddle et al. (2004),and the validity of some species in the genus remains questionable. This is because some were differentiated on character states that are very difficult to observe on type specimens that are poor quality slide-mounts. Perhaps more importantly, there is little recorded habitat segregation between several of the nominal species to support their recognition as separate biological entities, particularly considering that they are all likely to be predators of other arthropods. 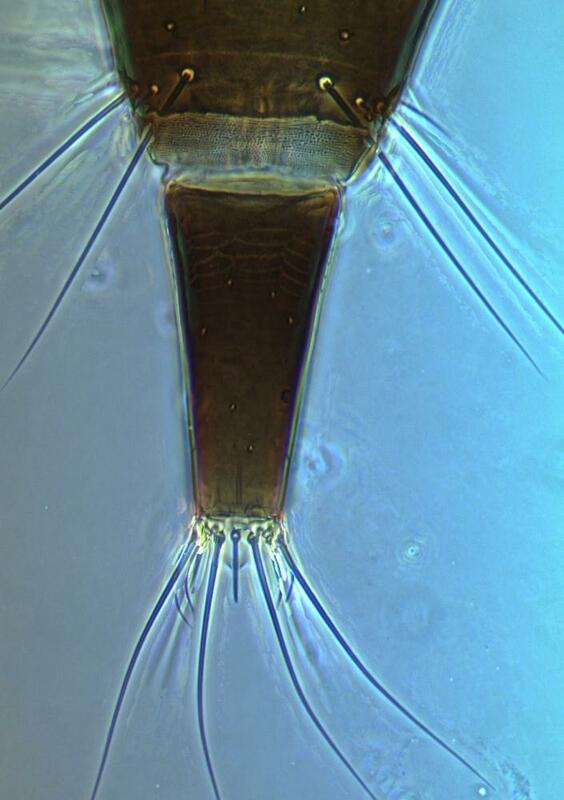 It should be noted that Leptothrips maliaffinis Johansen (1987: 61) was based on a holotype that originated from the studies in Virginia of Parrella et al. (1982) concerning the biology of the Black Hunter, L. mali. 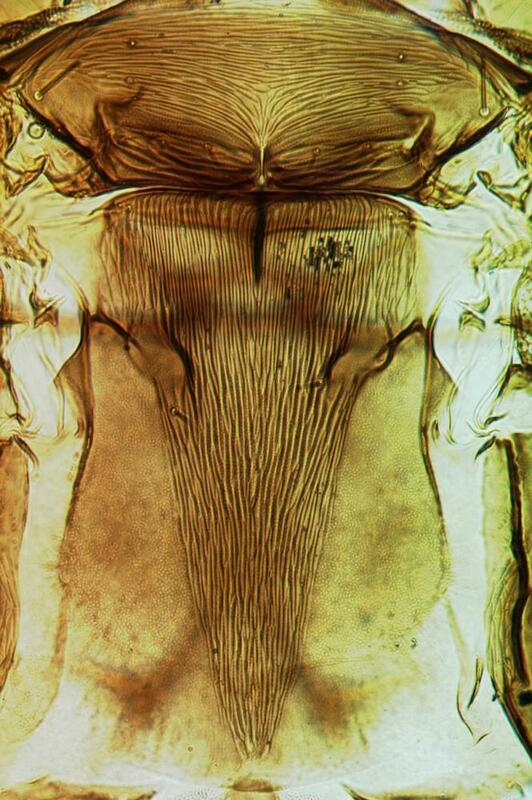 Johansen's taxonomic decision was based on restricting the name L. mali to specimens on which only a single sensorium could be seen on the inner margin of the fourth antennal segment, whereas there are two sensoria in this position in specimens from the Parrella studies. The biological validity of this decision remains to be demonstrated, and L. maliaffinis is probably the same species as L. mali. 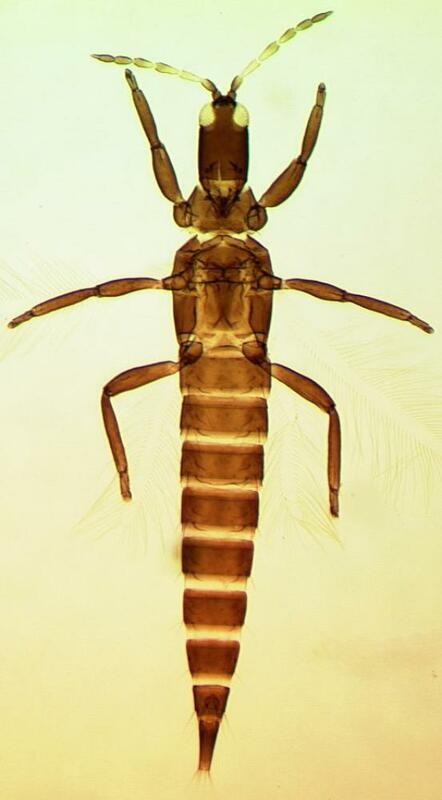 Similarly, Cryptothrips californicus was considered by Johansen to be a valid species, but is here returned to synonymy with L. mali, the distinguishing character states being unreliable. There are 24 described species that are closely similar to L. mali in color and structure. The biological and morphological evidence for the existence of these as separate biological entities remains weak, including the following three that were described from California by Johansen (1987) on slide mounted specimens of poor quality: L. brevicapitis, L. gurdus, L. primigenus. 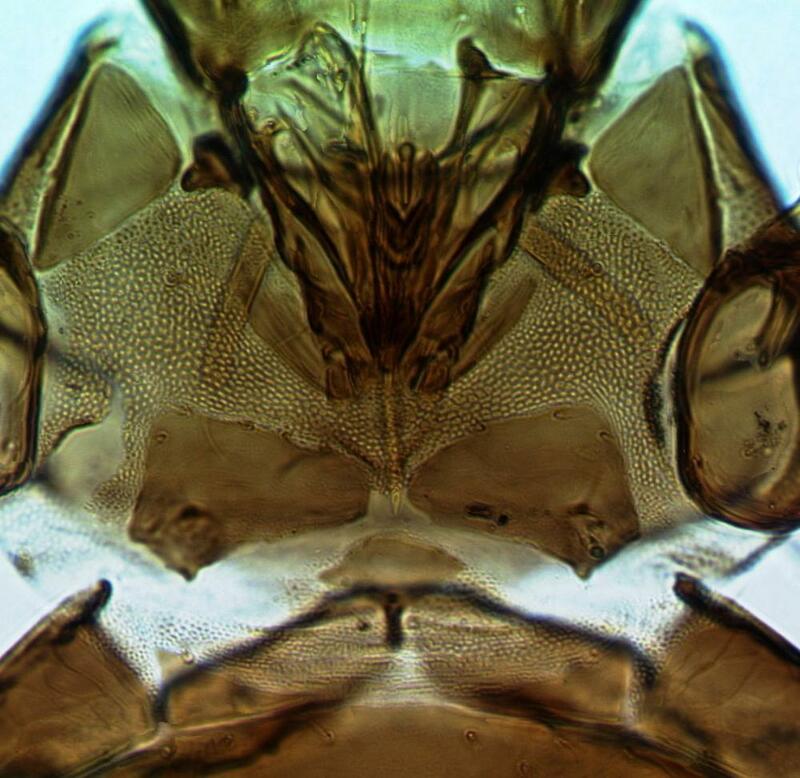 Predatory as larvae and adults on other small arthropods (Parrella et al., 1982). Associated with many different trees (Parrella et al., 1982). Apparently widespread across North America, also Mexico, Paraguay, Argentina.